The Mk III Toyota Supra offered a staggering level of technology when it hit the showrooms in 1986. The Supra was powered by the 7M-GTE, a turbocharged twin-cam, 4-valve, distributor-less engine that was miles ahead of its competition and only had a minor problem of consistently blowing up head gaskets due to an improper head bolt torque from the factory (which can be easily remedied by the home mechanic). 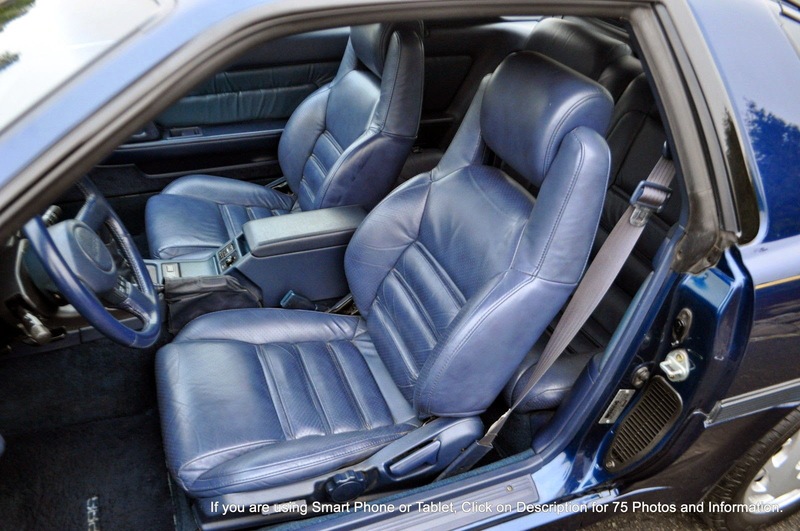 It was an affordable sports coupe package that gave the Corvette a run for its money and hinted at the Japanese sports car madness that arrived a few years later. 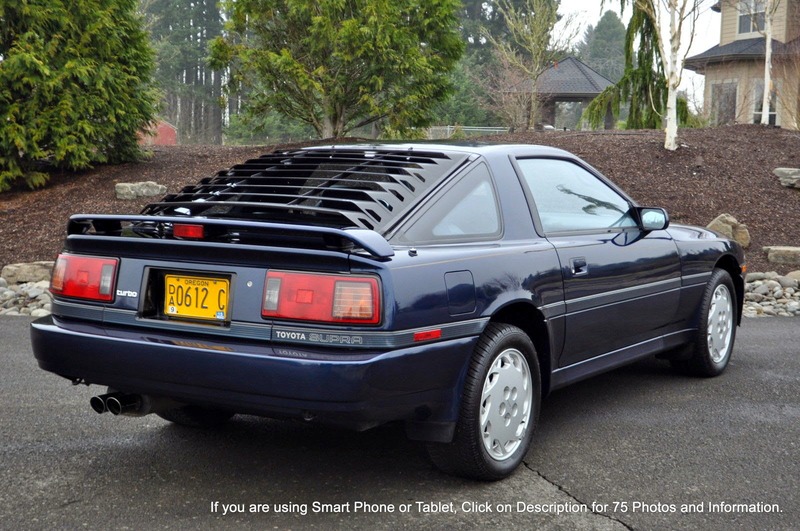 Find this 1987 Toyota Supra Turbo bidding for $6,700 here on eBay , located in Salem, OR with 4 days to go. The Toyota Supra was a part of the Celica platform up until the Mk III launch when the Celica went to front-drive platform and the Supra moved more up-market. The new Supra design was much more modern compared to the Mk II and advanced features like TEMS (Toyota Electronic Modulated Suspension) gave it a great performance/comfort tradeoff. 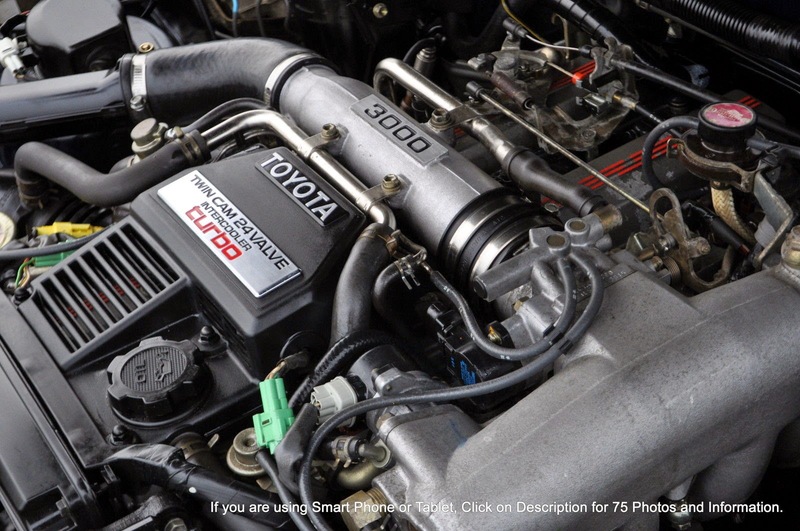 The 3.0 liter 7M-GTE inline-6 was turbocharged and intercooled to produce 230 horsepower and 250 ft-lbs of torque. These numbers might not seem like much, but the 1986 Corvette only pushed 230 horsepower out of 5.7 liters, so the little Japanese coupe was a fast car in its day. This example is sold from eBay seller Blue Oval Ranch, and it looks like a really nice example with only 60k miles on the odometer. This should represent about the top of today's "driven" market (show queens and dealer stored museum pieces excluded) and with minimal miles/good care, it should retain value as these cars will be collectable some day. I used to work for Toyota as a service manager, a long time ago. There was Triad activity in our area and guess what they liked? Yep, Asian sports cars. They had some of the most tricked out Supras I've ever seen and they were, despite their issues with head gaskets, amazing cars. Not my cup of tea, but nonetheless. I preferred MR2s. One day, this guy and his entourage show up in a white Turbo. All tattoos and obvious bulges under their armpits, they roar off and leave the car with me. I forget what it was in for. As I usually did, I parked the car in the back lot until the techs could get to it. The time came and one of the mechanics went out to pull it into a bay. He couldn't get into the car. It just wouldn't unlock. He tried and tried and finally set off the alarm. By the time I got out there, there was a crowd of technicians trying to get into the darn thing, but couldn't. I tried and didn't have any more luck than they did. I didn't want to appear incompetent and to tell you the truth I was scared of the guy, but I finally broke down and called the owner. He laughed and explained the process; wave the key fob over the inspection tag and that would disarm the alarm and unlock the doors. He was actually very nice and was apologetic for not explaining it to me before he left. Later, he told me that rival gangs had been getting into their cars and planting bombs under the dash and that he'd installed this exotic (at the time) security system as a prevention. He was still in one piece, so I suppose it worked. His car had a single turbo and pushed out well over 600 hp. It was almost as scary to drive as its' owner.